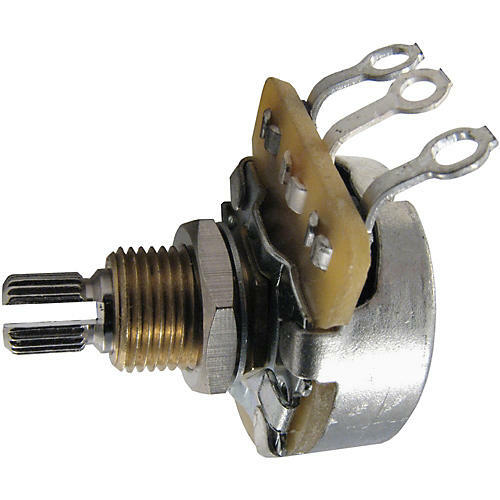 "Gibson" style 500k split shaft potentiometer. The tone knob includes nut, lock, and dress washer. 3/8" bushing length.